Phuket rainy season where there was… no rain! After spending six days in Kuala Lumpur, we were ready to spend our last stretch of beach life in Phuket. This trip came a week after we had spent almost one month in Bali during our one year of slow travelling, and we were excited about visiting Thailand beaches before saying goodbye to beaches on our trip forever! 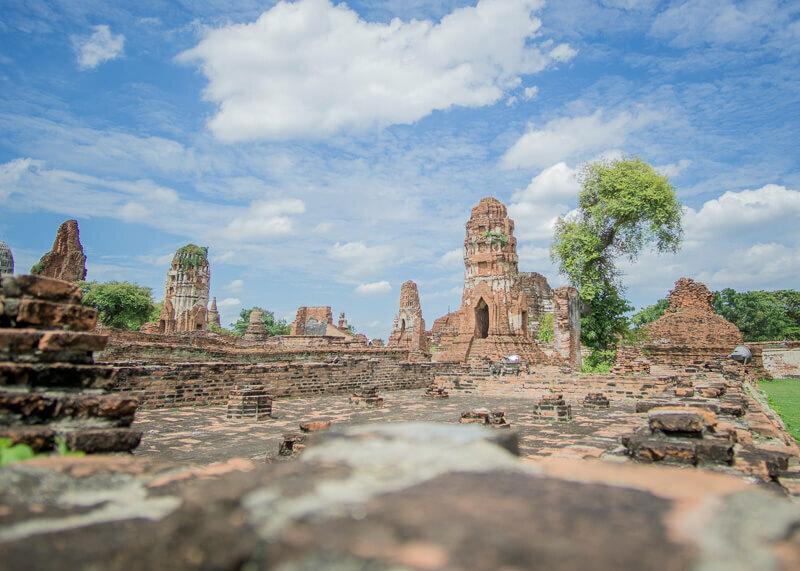 I’ve always wanted to make a big trip around Thailand, and I was happy we included this in our itinerary during the second month of our travels. 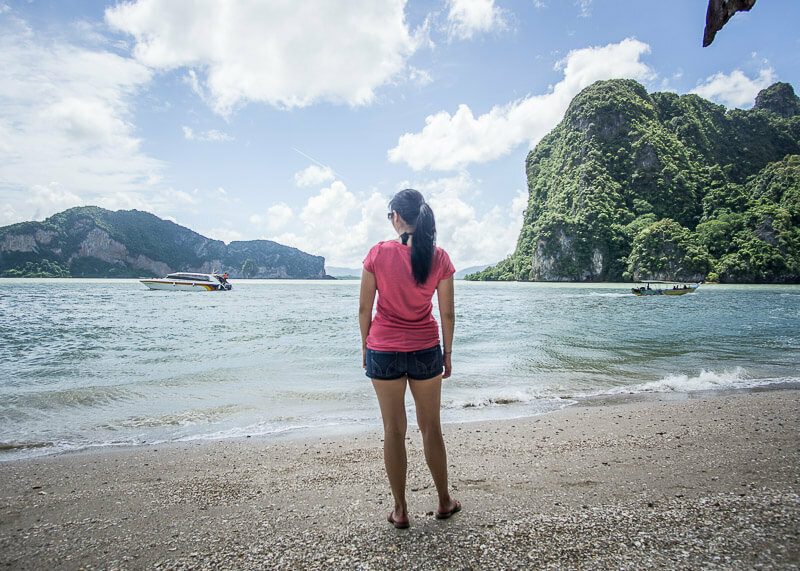 The plan was to start in Phuket and then make our way up to the northern parts of Thailand. Finally, another dream to check off the list! 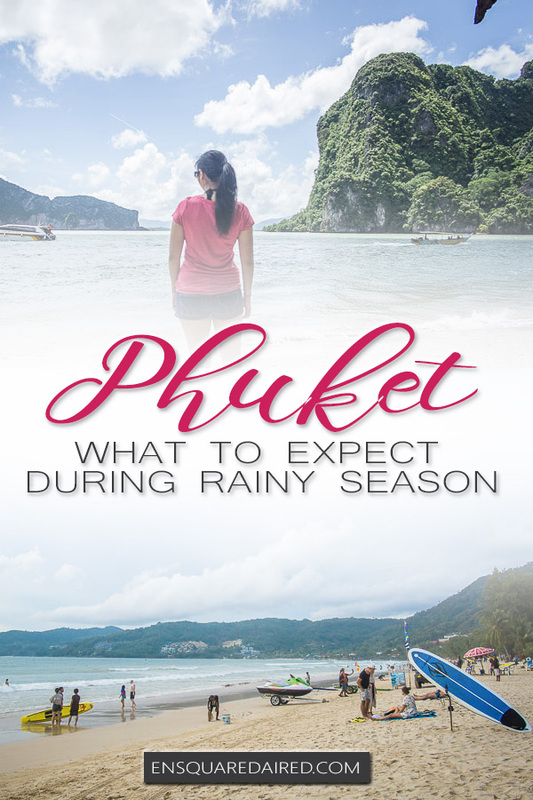 We knew we were visiting Phuket during the rainy season but figured we’d be ok based on what we read on the internet. 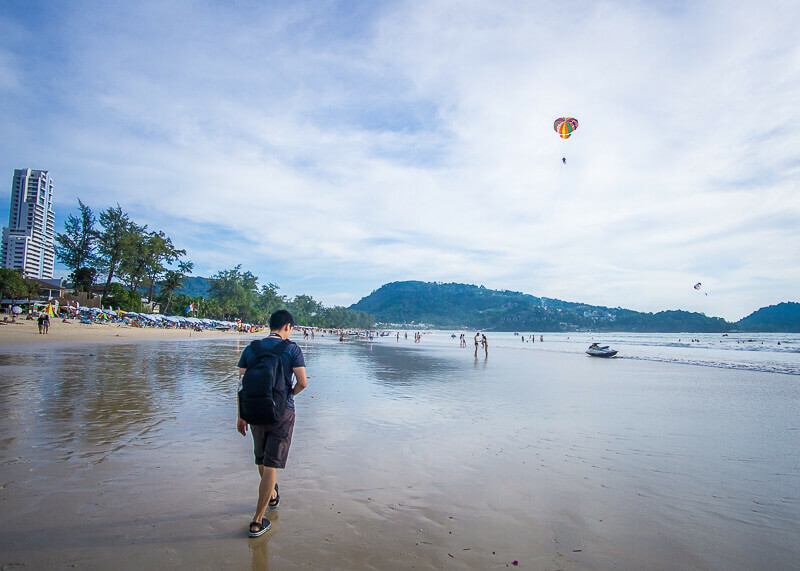 Since we were spending a week in Phuket, we just thought we could change our itinerary based on the weather. It’d be different if people were only spending three days in Phuket and it rained each day. We had time on our hands, so we were flexible with our schedule. However, a few days before we arrived in Phuket, we heard of crazy floods the week prior because of the rainstorms. We were a bit worried but were glad to be welcomed with no rain. Only a few dark clouds in the sky, but it still felt like hot beach weather. We headed to the beach and found the waves to be pretty rough. We were sad that the long tail boats were not available since the sea was too harsh. I wanted to take photos of the beach with long tail boats, but I guess it’s not happening in Phuket. The famous and touristy James Bond Island! 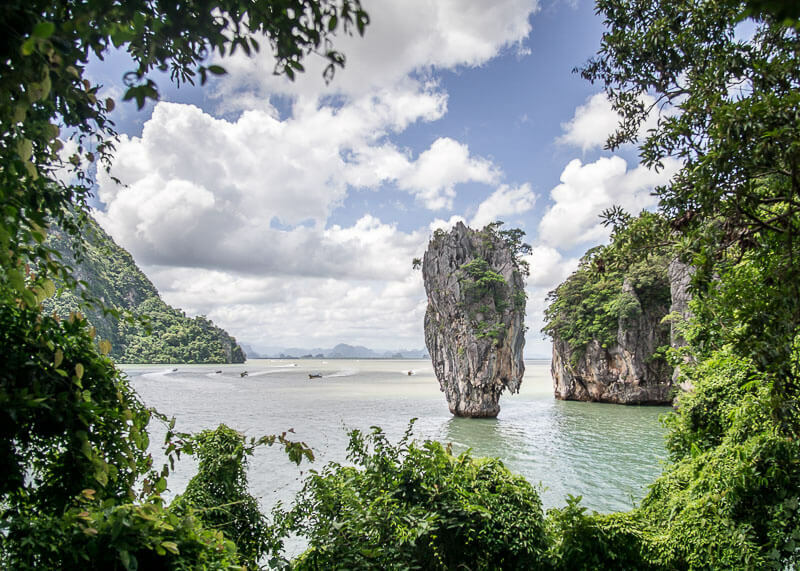 Our most significant part of the trip was going to the James Bond Island tour, where we got to go island hopping. I was sick as a dog, but I still was able to enjoy the trip. I did pass out for almost two hours on the way back though because I didn’t sleep the previous night. 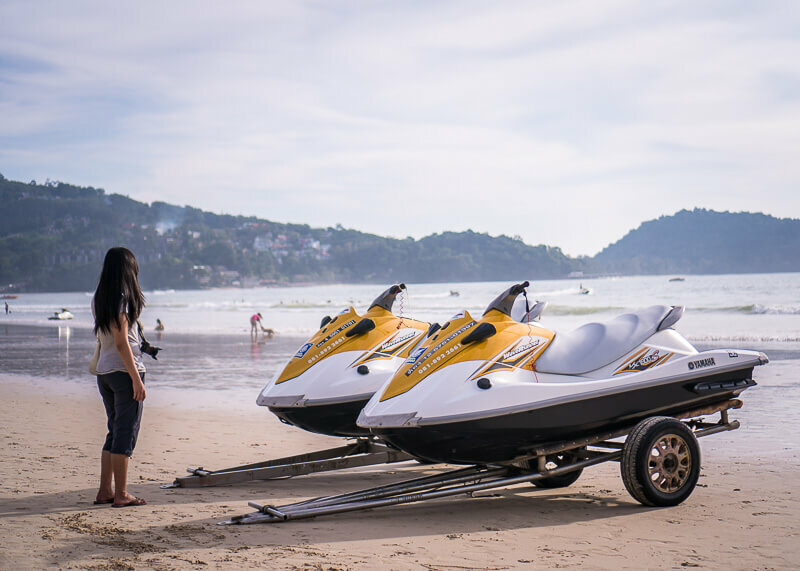 If you’re planning a trip to Phuket and need advice on how to book tours in Phuket, you can read this detailed guide about Phuket tours here. We spent most of our nights on the beach watching the sunset. It was so relaxing and so fun. 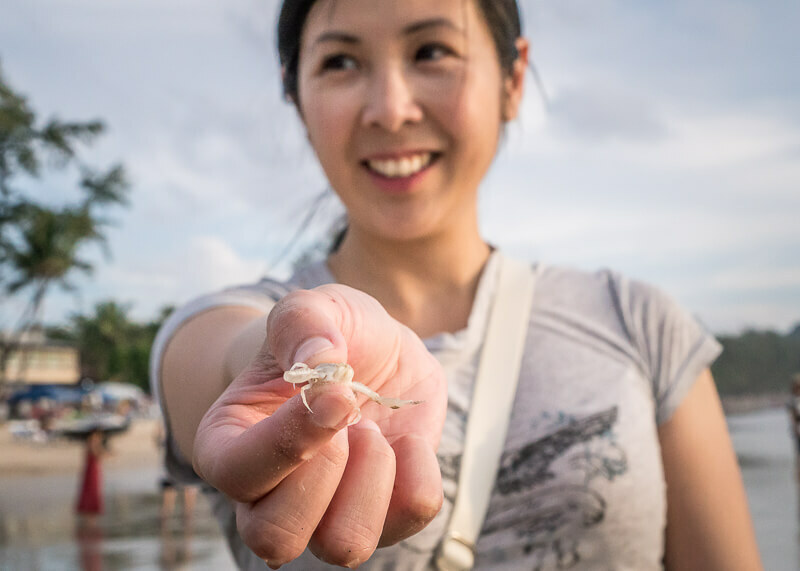 Of course, I caught some crabs on the beach. There are also other sea creatures like snails and shells. They end up coming out as the waves wash them ashore. The crabs came in all sizes… their claws were pretty big, but they did not pinch me. On the beach area we were in, a lot of watersport activities including jet skis, surfing and parasailing kept tourists busy. Can you spot the ninja? We watched people set up the parasailing which was so crazy! They spend less than 10 seconds unhooking one customer and hooking another one while having an untethered guy join the customer on the ride! 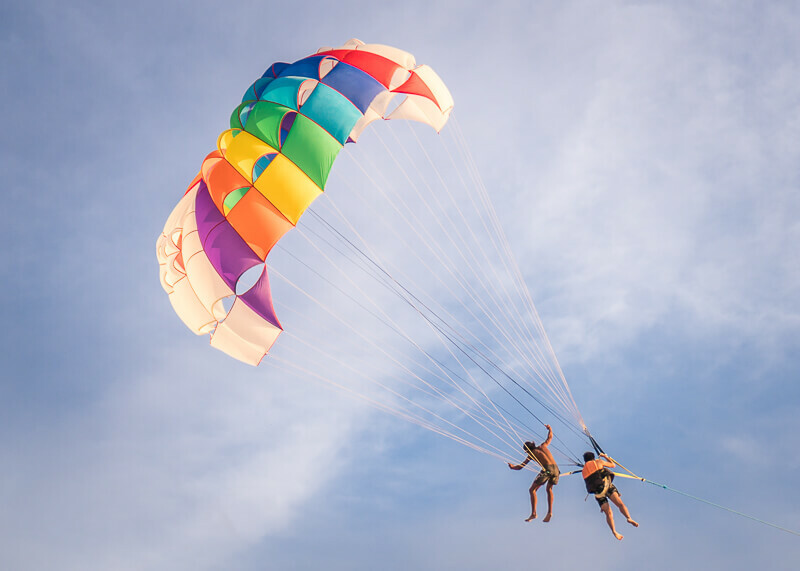 It’s fun just to watch the guys load the tourists on the parasail, and then glide up, and then later land at the same spot. There is this guy that goes with them, and he just hangs and swings on the ropes with no harness or safety device. 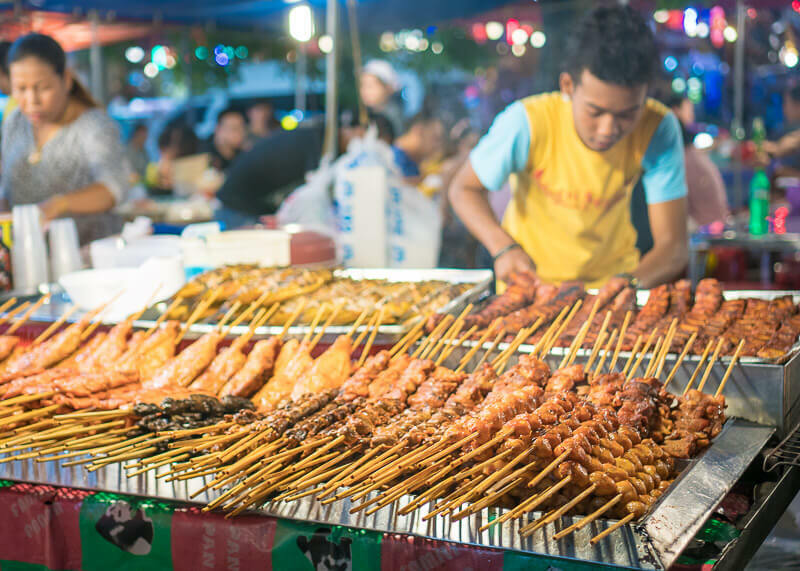 Luckily, one of our hotels was near the Banzaan Fresh Market so we had dinner at this night market on a daily basis. 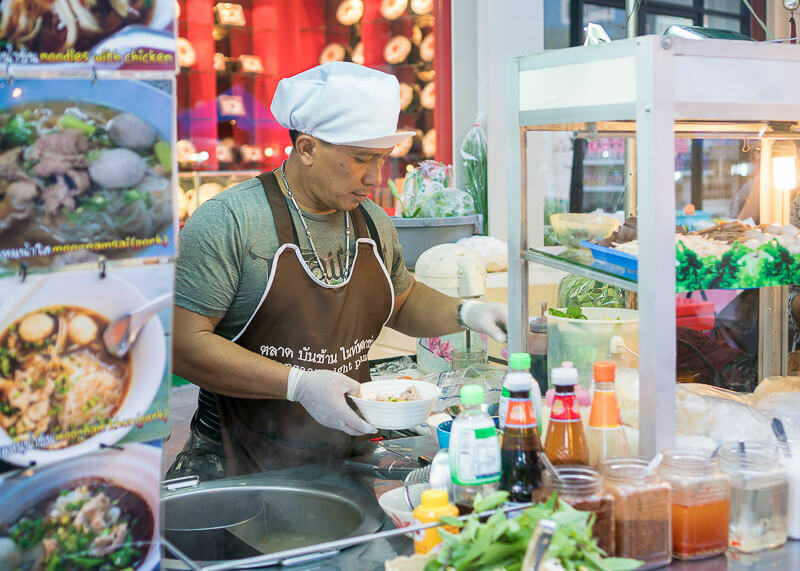 The vendors served delicious food every night, and the bazaar has a good variety of fresh fruits and vegetables for sale. We finally found a good noodle place where the food was cooked fresh in front of us. The vendor also said there was no MSG in his food…I’m sure by no MSG, he meant there’s very little MSG. That’s still ok with me. 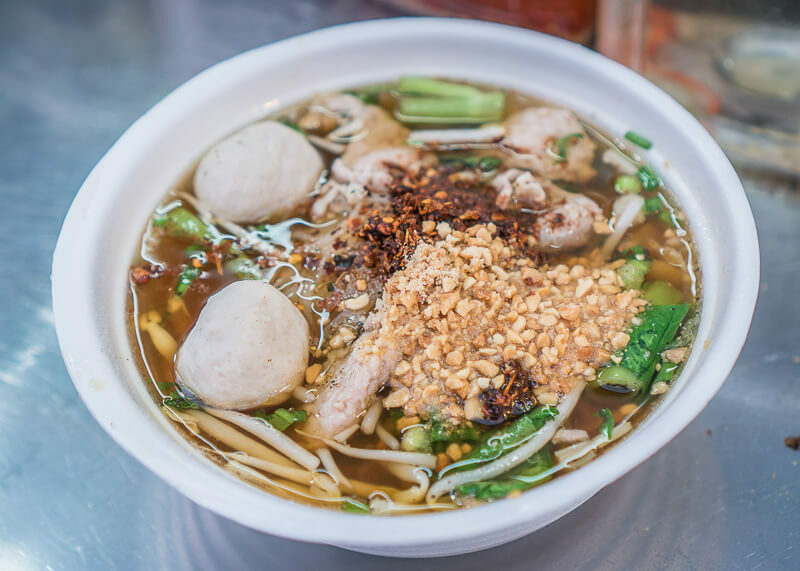 After eating this noodle soup the previous night, I was stunned at how ill I was feeling. It’s not until I looked at this photo months later that I realized why I was so sick. I went too crazy on the chili pepper and I ate the noodles on an empty stomach. I also learned from a friend that Thai chili flakes are not the same as the ones we eat in Canada. The spiciness level is at least a few times stronger than the ones back home! I’m pretty sure all the pepper from this bowl of noodle soup burned my stomach lining. 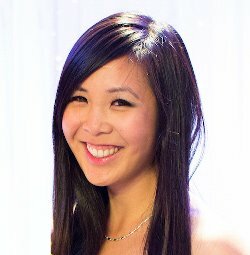 I ate nothing but bread and rice for almost three weeks after this night! 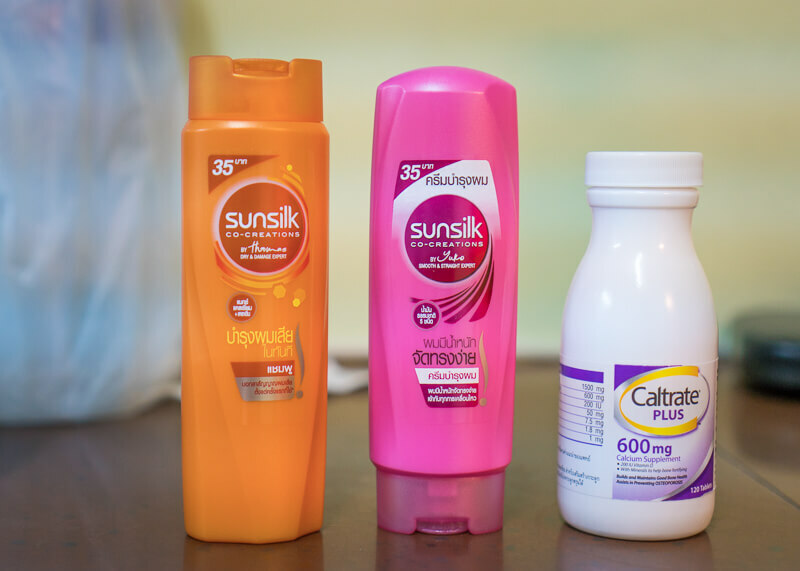 When packing for my one year of travels, I debated if I should bring my vitamins or not. Since they take up space, I decided against it and figured I could survive for a year without vitamins. Bad idea. After travelling for five weeks without eating healthy, I started to feel the unhealthiness take a toll on my body. I ended up with Caltrate because I recognized the branding. All the medication is written in Thai, so I had no choice but to go with the most recognizable brand. This bottle of calcium was $30 CAD! I’m still missing my B12 and iron pills. We spent a few days at BYD Lofts, which was a refreshing change from all the hotels we’ve been staying. 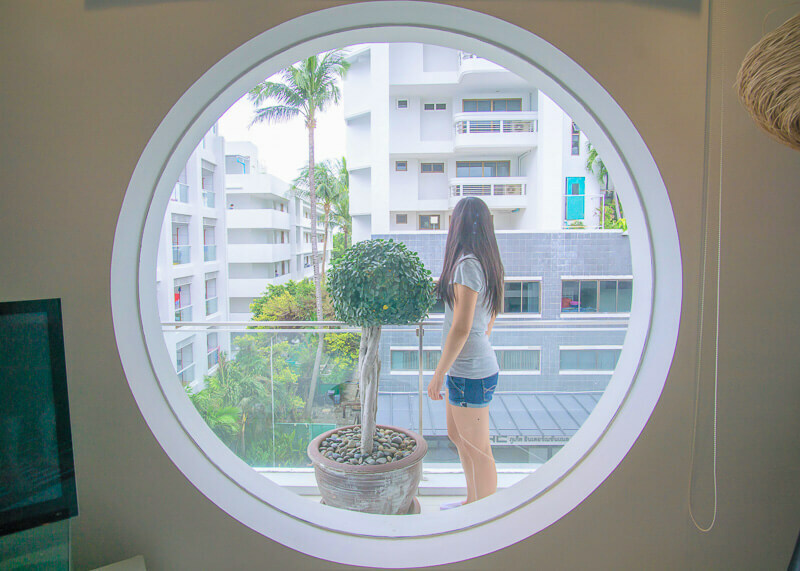 Everything about BYD Lofts was incredible – I could see why they have rated the #1 hotel in Patong. Even the location itself felt like it was in a residential area, rather than in the touristy Phuket. I don’t know if we are just lucky or what, but it barely rained during the week we were in Phuket. We heard rain once in the middle of the night, and it started spitting the last day we were here. Aside from those two incidences, there was no rain. So much for bad weather during low season. The weather was super duper hot and humid though, in line withthe typical Asian tropical climate. 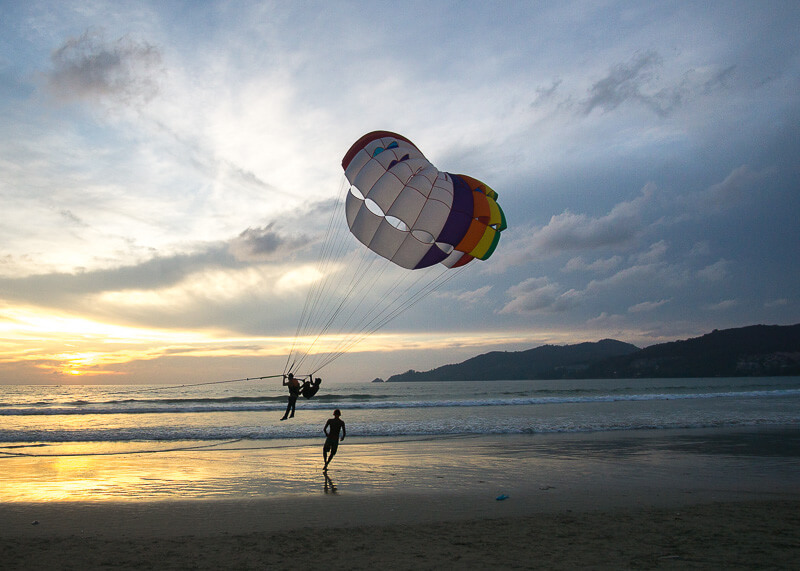 No rain during the rainy season in Phuket! Just sunshine and hot tropical weather! 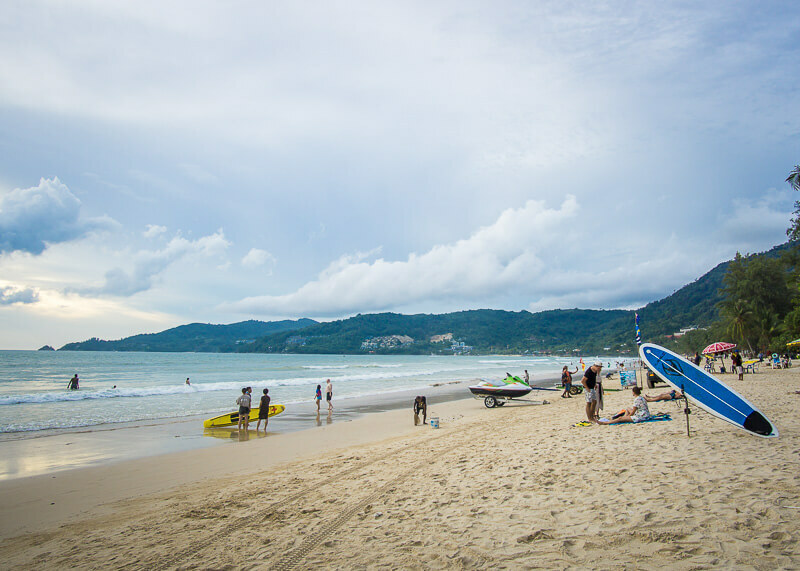 Overall, we enjoyed our visit to Phuket during the rainy season. Everything is cheaper since it’s low season and less crowded. The only thing we missed was not going on a long tail boat at the beach. We learned the hard way later in Ao Nang why long tail boat and rainy season just don’t go well together. Wow! Looks like you had an amazing time. In which month did you visit?